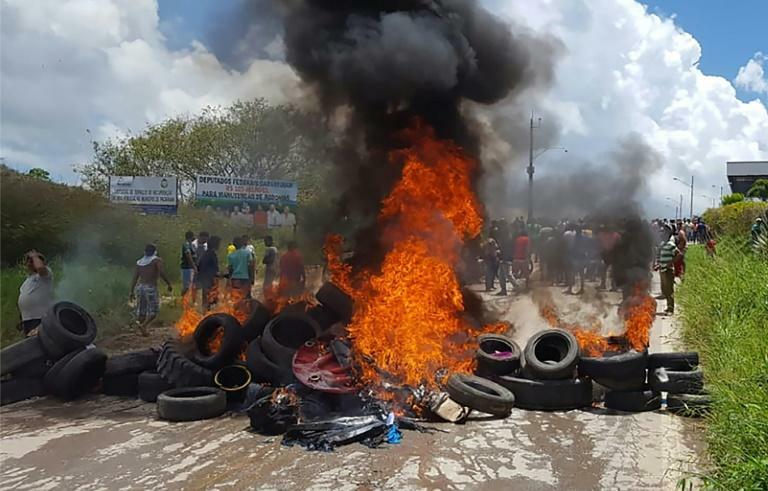 Does Edson Sanchez feel guilty about the mob violence meted out by fellow Brazilians against fleeing Venezuelans a few days ago? "No regrets," he says, bluntly. "We did what we had to do." 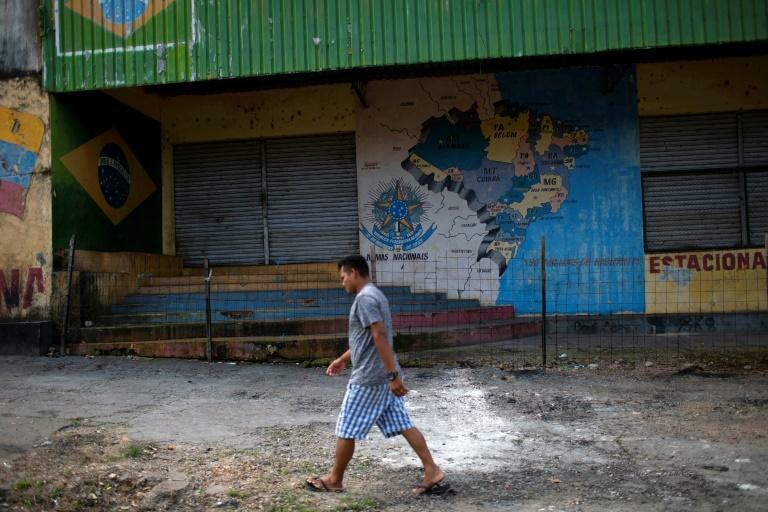 Like other neighboring countries around Venezuela, Brazil has opened its doors to people fleeing political unrest and extreme poverty, many of them officially designated as refugees. But last weekend, the people of the frontier town of Pacaraima said they'd had enough. Rampaging through tent camps, they set fire to the Venezuelans' meager shelters and belongings. Then, threatening worse, they forced 1,200 homeless people back over the remote border. Television footage of the scenes shocked many in Brazil, but locals say their side of the story needs telling too. The spark for the violence was a brutal attack on a local shopkeeper that was blamed on Venezuelans. Tension, though, had been simmering for months as newcomers gradually filled this modest town of just 12,000, coming to represent 10 percent of the population. The influx "transformed the town," said Sanchez, 21. "We didn't control anything anymore." Cristina Gomes, another resident, agreed. "How long were we meant to wait for the authorities to do something about it? They do nothing. We're the authorities!" Of the tent camps, nothing remains now except debris -- broken bicycles, Bible tracts, food, children's flip-flops. Sanchez insists that Brazilians are not against immigration, just that the system has broken down. "There's no xenophobia here. We're tired, that's all," he said. But Venezuelan witnesses described vicious scenes. "They came with bottles and sticks, shouting 'Get out!'" said Nayelis Garcia, 17, who sheltered with her one-year-old baby in a tent at the border crossing, protected now by Brazilian soldiers. "We had to run into the hills with our children. They were burning our things, our food, our documents, our mattresses and sheets," she said. Another fugitive from Venezuela, Eleiser Balaza, said attackers descended like "an avalanche," armed with sticks and machetes. "We spent two nights in the hills without food or water," he said. Garcia is hoping to get asylum status along with her husband, aunt, sister and niece, so they can build new lives in Brazil. Balza and his wife want to reach Boa Vista, capital of the frontier state of Roraima and from there continue to Belo Horizonte in southeastern Brazil, where they have family already putting down roots. That hopeful future looks very far away, though, when viewed from Pacaraima. Local priest Jesus Lopez de Bobadilla, 77, worried that politicians were fomenting trouble ahead of Brazil's October presidential and congressional elections. "Brazil is in an extremely delicate political, economic and social situation on the eve of elections," he said. The violence, the priest added, "was planned. It was not spontaneous. There are dark political forces trying to use the difficulties suffered by people to stir up the growing xenophobia as a factor in the elections." But Fabio Quinco, who runs a store near one of the demolished camps, said the anger comes from the grass roots. Even if he is "totally opposed to violence," Quinco said he understands the way Brazilians feel. "People here exploded because they say they are being looked after less well than the Venezuelans. That could be the cause of the violence," he said. Late Monday, a convoy of some 30 vehicles drove through the center of town, distributing white balloons. "We want to live in peace!" a woman called out over loudspeakers.